At first, it may be hard to believe that it is possible for a process which was developed for efficiency in supermarkets could be adapted to the world of healthcare. During the 1940s, Toyota employees observed that supermarkets in the U.S. were able to easily and consistently offer customers food whenever they needed it, without the need to hold on to large quantities of inventory. They noted that supermarket coolers were stocked using a first-in-first-out system that restocked from back to front. There are visual cues placed within each stock room that let employees know exactly how much inventory they should order as stock gets depleted. The Japanese car manufacturer then applied this system successfully into its operations, allowing it to increase efficiency. Toyota coined the term kanban as the name of this methodology. Much later, companies like Virginia Mason pioneered the adoption of kanban to make the process of providing healthcare more efficient and effective. 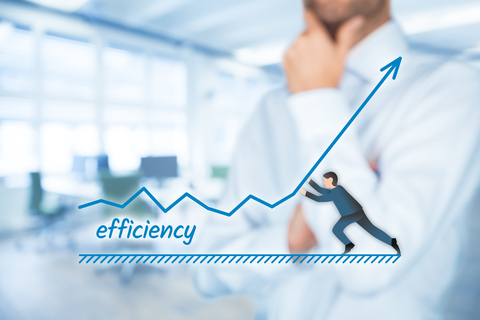 Here are three ways kanban can help make the healthcare industry more efficient. Through the use of technology such as software, barcodes and RFID tags, tracking of inventory patterns and levels at healthcare facilities has now been made much simpler. 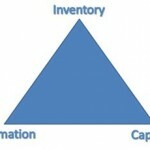 There are many kanban inventory solutions available today to fully automate the processes involved. While many facilities still implement a two-bin system to great effect, the use of kanban software makes use of scanning of RFID tags and barcodes to supplement the bins as well as an electronic database to give accurate inventory tracking. A robust automated system based on kanban principles manages the entire supply chain more efficiently. It signals when a restocking order is required when a bin is depleted. It is also capable of tracking lead times in order to ensure that a facility always has a sufficient amount of stock available. In addition, managers of healthcare facilities can make use of kanban inventory software to produce reports on productivity. In the field of commercial healthcare, suppliers are experiencing shrinking margins because of steadily declining reimbursement levels. For instance, in the orthopedic industry, firms are forced to produce lower volumes of products, which means that the benefits of implementing a kanban system may not become immediately apparent. In spite of this, DJ Orthopedics, a firm which specializes in the creation of non-operative regeneration, repair and rehabilitation products has successfully trialed a kanban system. Within one of the company’s manufacturing facilities, they put in place a five-sided kanban inventory system which stores kanban cards for most of the products within its inventory. Any time a particular item requires replenishment, there is a card which signals the crew and suppliers who are in charge of the store room. The system has helped the company to reduce its warehouse size and cut down on production times. 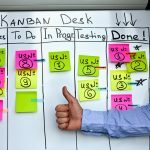 The lean kanban system has also let the company improve on its on-time deliveries while increasing its profits compared to its peers in the healthcare field. In order to match staffing demand, hospitals may think of the need to redeploy staff from other departments within the facilities. In the experience of many healthcare professionals with regard to workload reduction, flexibility of the workforce, leveling and cross training, the solution to congestion will often be found outside departmental bounds. 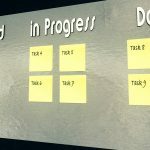 Lean kanban principles teach that effective countermeasures to these problems can be found when examined across the entire organization. Facility resources – personnel in particular – need to be able to move between an emergency department and hospital wards whenever required. Workload needs to be shared by the entire hospital. Through the use of kanban cards and automated systems, it is easier to move staff from one part of the hospital to the other as required, without any negative effect, similar to how inventory is ordered as required. Stores managers in hospitals often feel more comfortable when holding on to large stocks of supplies in fear that they may unexpectedly run out. However, the flip side is that this often leads to excessive inventory and expired items. It may take time to convince them that a lean kanban system is reliable, but in the end, it is worth the effort.